The 2014 BMW i3 can be ordered with a range-extending two-cylinder engine that will roughly double the miles it can cover, but BMW strongly believes that most buyers won't need it--even if they think they will. The company has considered letting every buyer live with the battery-powered i3 for a week before deciding if the range extender is really needed; for most uses, it won't be--and that will save $4,000. If there's ever been a brand-reset button in the automotive business, the BMW i3 is it. The hatchback is revolutionary not just for the German automaker, but for the entire industry given its exotically composed body and fuel-saving powertrains. It forces drivers to adjust their idea of what a BMW is all about. The BMW i3 instead is precisely what its designers intended to build: a conscientious and supremely capable city car, offering quiet all-electric transport for residents of urban centers from Asia to Europe (and bits of the iaffluent suburban United States as well, we imagine). It may be the most calming, soothing vehicle we've driven, which will make it a good option in packed city cores and crowded neighborhoods of Amsterdam, Jakarta, New York, or Tokyo. The five-door subcompact is probably the most advanced car the Bavarian company sells, but if you didn't see its twin-kidney (simulated) grilles and the blue-and-white roundel badge, you might never associate it with the classic 3-Series sports sedan that built the brand in the U.S. The i3 represents an entirely new approach for a new century of congestion, carbon limits, and electronics dominating driving experience. It's the first of a new line of "i" plug-in models, including the 2015 BMW i8 plug-in hybrid sport coupe that will go on sale late in 2014. While BMW's U.S. marketers may find their heads exploding at the challenge--and traditionalists will scoff and sneer--the 2014 BMW i3 isn't primarily aimed at North America. It's likely to sell in traditional cities like New York and Boston and San Francisco, and perhaps in the more affluent quarters of sprawling conurbations like Atlanta and Dallas and Los Angeles. It works fine on highways and open roads, though its roadholding won't please any owner of a BMW M sedan who drives it hard. That poses a major challenge to North American buyers, however. The electric i3's unexpected genius--providing a calm, soothing, capable vehicle in which to travel through crowded, dense urban areas, one that makes stop-and-go traffic tolerable--is far from what U.S. buyers associate with BMW. The new i3 plug-in electric car is an "ultimate driving machine" only if you "driving" includes navigating rush-hour traffic, zipping down narrow alleys and around the tightest of corners, and parking in minimal curb-side spaces or high-rise garage structures. And it's likely the first BMW ever whose design team stressed their mission of providing a calming environment for travel. They've created an interior that evokes spacious, open loft living; and a car that shows you not only roads but walking routes, bus and train schedules, and multiple transport modes. And that's even before they start to explain the pros and cons of its optional, two-cylinder range-extending engine, which will increase the car's range from perhaps 75 miles to only 150 or so. That's courtesy of a tiny gas tank holding less than 3 gallons, to comply with some complex California regulations on zero-emission vehicles. Make no mistake: The BMW i3 is a good car. It's just good at very different things than any past BMW. And whether those things prove to be of interest to a broad enough U.S. audience to make it a volume car is the big question. The styling of the BMW i3 launches a new design language for its "i" plug-in cars. They'll all have a mock twin-kidney grille (actually blanking plates) outlined in blue, along with glossy black hoods, roofs, and tailgates or trunklids. The i3 battery-electric minicar has a broad stance, with its large 19-inch wheels pushed out to the corners, and an upright posture that makes it look bigger than it is. The front and side are distinctive, but the rear is a cluttered intersection of shapes, straight lines, curves, and multiple materials--by far the car's least attractive perspective. Inside, a calm, modern, almost minimalist cabin feels expansive in the front, but remains cramped in the rear. BMW says the i3 has as much interior volume as its 3-Series sedan, but it's organized differently--and we suspect most i3 cars will be occupied by only one or two people most of the time. 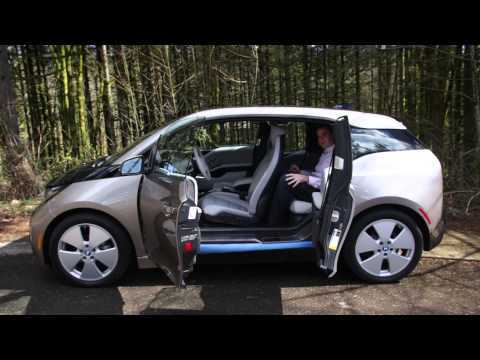 The i3 is comfortable to ride in, with excellent front seats and bright, crisp graphic displays. Aside from some wind noise at speed, the cabin is quiet and motor whine is well suppressed outside of full acceleration. 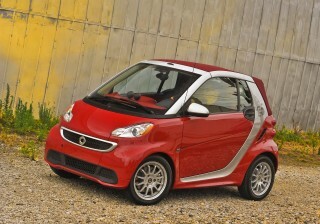 The car is nippy and its small turning circle and compact dimensions make it easy to use in crowded cities. But the tall, very narrow tires have stiff sidewalls and produce a firm ride, without the grippy handling that is expected from any traditional BMW. It's perfect for zipping around town--quiet, comfortable, peppy--but it's certainly not the car you'll take to a slalom course. On the road, the i3's 125-kilowatt (170-horsepower) electric motor accelerates swiftly and smoothly from a stop, powered by a 22-kilowatt-hour liquid-cooled lithium-ion battery pack in the floorpan. The truly distinctive feature, however, is the strong regenerative braking (up to 50 kW) that permits the i3 to be driven largely by modulating the accelerator only--without touching the brake pedal except when full stopping power is needed. The strong regen both minimizes energy use and distinguishes the electric BMW from other electric cars tuned to mimic the behavior of conventional cars with automatic transmissions, complete with idle creep. It's easy to get used to, and once learned, many drivers will never go back. BMW has invested heavily in advanced electronic systems both for safety and for multimodal transportation--what other car will give you bus and train schedules to help you reach the destination you dial into the navigation system? It hasn't yet been tested by the NHTSA or IIHS, but we expect those results sooner rather than later, to understand how its unique carbon-fiber reinforced plastic (CFRP) body shell--mounted on an aluminum platform that contains the running gear and front and rear crash structures--will behave in the usual suite of crash tests. Recharging to 80 percent of battery capacity takes less than 4 hours using BMW's own home charging station, with a charging rate up to 7.4 kilowatts--higher than any other plug-in car except the Tesla Model S. BMW i3 cars will offer a Combined Charging System (CCS) quick-charging port as well, although today there are only a handful of public charging stations using that standard. 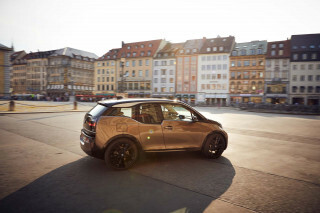 Our driving tests were in German-market battery-electric i3 models only; no cars fitted with the optional range-extending two-cylinder engine were available at the global media launch. We'll add comments on that car as soon as we can get behind the wheel. 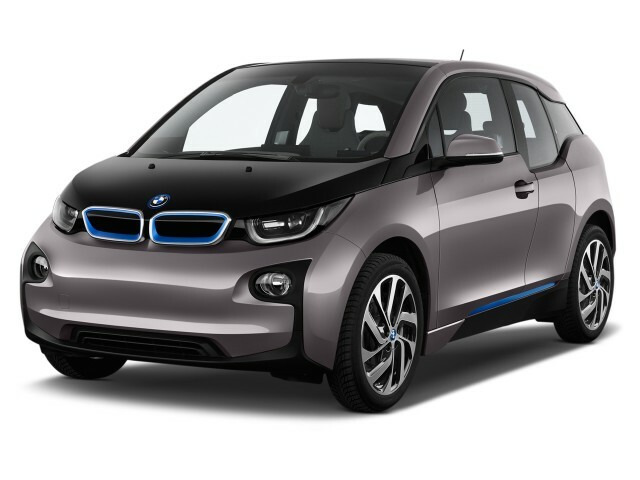 The first 2014 BMW i3 cars were delivered to selected dealerships in May 2014. The base price is $42,275 (including the mandatory $925 delivery fee), and the optional range-extending two-cylinder engine adds an additional $3,850 to that price. Beyond that, BMW has not yet released details of other features, options, and trim levels for U.S. models specifically. The 2014 BMW i3 has distinctive but dissonant exterior lines that aren't to everyone's taste; the interior is elegant, spare, and soothing. The 2014 BMW i3 had a twin-kidney "grille" up front, but little about the rest of it says BMW at first glance. That's because it launches a new design language that will be shared among many products in BMW's new "i" range of plug-in electric vehicles. That blanked-out mock grille in front is ringed with blue, one element of the new design language. Others include the hood, roof, and tailgate in shiny black, regardless of what color the rest of the vehicle carries. There's also a deep dip in the beltline to make the windows in the rear doors taller, followed by a jog up to a higher base for the third window in the rear pillar--which is echoed by a dip down from the roofline that makes that last window quite shallow. The BMW i3 is most successful from the front, front three-quarter, and side views. The snub nose and distinctive profile of the tall shape, and the i3's wide stance, with wheels at the very corners of the car, give it a solid stance and a presence that belies its relatively small footprint. The large and handsome 19-inch wheels help as well (the same trick used on the Scion iQ), although the narrow tires can be disconcerting when the car is shown with its front wheels cocked--that's when they look far too small for their openings. Big chunky door handles reinforce the sturdy image. It all dissolves into a confusing blend of straight lines and curves at the rear, though. The body sides extend slightly past the tailgate below the window line, giving the i3 either vestigial tail fins or perhaps jowls. The rear fascia and bumper shield sweep back and up to the base of the high load deck (which has the traction motor and drive unit below it). The U-shaped tail lights, hidden under the black glass of the rear hatch, are outlined with a mix of curved and straight shapes and outlines. Overall, the rear of the i3 just has too many design elements that clash with each other, and it's the least successful aspect of a distinctive design. Inside, the i3 is unlike any BMW you've seen before--and far more akin to a loft living room with carefully selected Scandinavian modern furniture. The 10.2-inch central display screen, controlled via the iDrive knob on the console, sits on a stalk above a useful wide and shallow bin in the top surface of the dashboard. A smaller screen behind the steering wheel also sits proud of the dash surface, rather than enclosed in a binnacle like virtually every other car's. BMW proudly touts interior panels made of kenaf, a renewable fiber, though to our eyes their mottled finish looks like they were supposed to be covered in something else. It's fine for the far part of the dash top, but the portions of the door panels finished that way rather look like they've had their covering stripped off. That's the only sour note in an otherwise simple but elegant interior. The textiles are tight weaves, in light or dark colors, and while you can get the mostly-black treatment, you can also have a lighter, more living-room-like palette of greys, creams, and earth tones with contrasting stitching. It's surprisingly elegant, and unlike anything else BMW sells. The optional wood covering for the glovebox door is open-grain eucalyptus, with no sheen at all. Its texture adds to the natural feel of the fabrics and seat coverings, which include leather dyed in olive extracts, as well as wool. There are (inevitably) molded black plastic elements to the interior, but they're in the background, with the lighter and more novel materials catching the eye. The 2014 BMW i3 is agile, easy to whip through crowded streets, and smooth in acceleration; its roadholding may not read as BMW, however. The 2014 BMW i3 is primarily a battery-electric car, but buyers can choose to add an optional range-extending two-cylinder engine as well. BMW suggests that the car's ability to deliver its range will make the range extender unnecessary, but we suspect that in the U.S. many customers will want it anyhow. Like any battery-powered car, the BMW i3 has smooth continuous torque from takeoff. It will accelerate from 0 to 60 mph in "approximately 7 seconds", BMW says, and 0 to 35 mph takes just 3.5 seconds. We observed a speed of 134 km/h (83 mph) with the car still accelerating; top speed is given as 93 mph. On the road, the i3 moves out crisply and its nimble handling and tight turning circle of 32.3 feet make it a joy to navigate in crowded city streets. Even in Amsterdam, where any given street may feature trams, buses, commercial trucks, cars, taxis, motorcycles, scooters, cyclists, and pedestrians all within inches of each other, the i3 was easy to place and a pleasure to drive. The i3 is also a fine highway car, within the limits of its range, but we found it slightly sensitive to sidewinds and quite firm riding. The electric BMW's 22-kilowatt-hour lithium-ion battery pack in mounted in the floor and liquid-cooled. 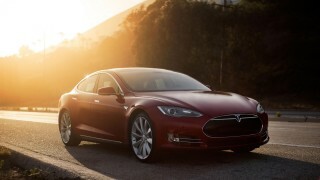 It powers a 125-kilowatt (170-horsepower) electric motor that produces 184 lb-ft of torque to drive the rear wheels. That makes the BMW i3 the only rear-wheel-drive electric car on the market aside from the Tesla Model S. The motor is located under the load deck on the left side of the differential; at the right is an empty space where the range extender and generator package goes on cars ordered with it. The BMW i3 differs from every other electric car, however, in its approach to regenerative braking. The solution BMW chose distinguishes the i3 drive experience from electric cars that simply mimic the behavior of a gasoline car with an automatic transmission. The strong regenerative braking makes the i3 the first production car we've driven since the original Tesla Roadster that truly permits one-pedal driving. And the effort BMW put into its well-calibrated control software really shows. The feature can catch new drivers unaware--on our first drive, lifting off the accelerator while going down a parking garage ramp slowed the car to a complete stop, pointed downhill--but it takes only a few minutes to learn. There's no idle creep, though we didn't miss it. And BMW has retained a gliding or coasting mode, between acceleration and regen, although the software control is now so seamless that you have to watch the power display through the steering wheel to find it. There's no tactile or seat-of-the-pants indication that the motor has disengaged, unlike the cruder software used in the BMW ActiveE test fleet, when you could feel the motor disengage. Because the regenerative braking can slow the car by recharging the battery at up to 50 kilowatts, the brake pedal only triggers the friction brakes--it does not induce or increase regeneration, which is controlled entirely from the accelerator pedal. In most uses, once a driver has learned how to modulate the accelerator, the friction brakes rarely need to be used in real-world conditions. They're mostly for sudden or panic stops. We noticed that in both BMW i3 cars we tested, there was a slight creak from the front of the car just as it came to a stop using the brake pedal. BMW engineers said this is a slight slippage of the pad on the disc, a sound normally masked by engine and transmission noise in other cars. That may be, but we've not experienced it on any other electric car; the engineers said they are working on a fix for the problem. To start the BMW i3, the proximity fob must be in the car, and the driver's foot must be on the brake pedal. The start button is on the inside of a rotary controller behind the steering wheel on the right that lets the driver choose forward or reverse, and also holds a "Park" button. The electric parking brake is far enough back on the tunnel, at the base of the storage bin and armrest, that we had to have it pointed out to us. Buttons on the console let the driver select "Eco Pro" or "Eco Pro+" mode, to stretch battery range a bit further (BMW says about 12 and 25 percent, respectively). Unlike Eco modes in most other cars, the BMW i3's efficiency modes leave the car responsive and capable of keeping up with traffic. The EcoPro+ setting more aggressively restricts the energy devoted to heating or cooling the cabin; it's the "wear a down jacket" setting that will keep the car going as far as it can in cold winter weather. A kickdown function in the accelerator lets drivers override either EcoPro mode when sudden performance is needed in unexpected driving situations. The i3's ride is well controlled, but the stiffer sidewalls of the very tall, narrow tires mean it's not soft. During a handling test, it was relatively easy to get the front tires to squeal on fast, sharp turns. We also noticed that the rear of the car jittered and skipped in fast cornering on broken surfaces. And because the car's heavy battery pack is mounted low, in the floor, but occupants sit straight up on top of it, the sensation of body roll is amplified. The BMW i3 rides well enough, but it's not a car you're going to want to take to track days or slalom courses. Our two test cars were delivered with full batteries that registered available range of 132 km and 141 km (82 and 88 miles, respectively). It's rated by the EPA at a range of 81 miles, and because the sum of distance traveled and distance remaining stayed close to those original figures on our test cars--regardless of driving style--we expect the BMW i3 to deliver real-world range of 75 to 90 miles. It earns one gold prize, however: For 2014, the BMW i3 is the most efficient car of any kind sold in the U.S. It earns an efficiency rating of 124 MPGe, or Miles Per Gallon Equivalent, a measure that indicates how far an electric car can travel on the same amount of energy that's found in 1 gallon of gasoline. The 2014 BMW i3 is deceptively simple inside, but it's quiet, smooth, and actually soothing to occupants--and how many cars can say that? Like most electric cars, the BMW i3 is quiet and smooth to travel in. From inside the car, the interior feels and appears far more spacious than you'd expect in a minicar that's the shortest vehicle BMW sells. The cabin is wide for the length of the car, and the base of the windshield is roughly two feet ahead of the display screens mounted on top of the dash. Overall, it feels like a much larger vehicle than it is, and its small size only registers when slotting it through narrow gaps in urban driving. While BMW says the i3 has interior volume comparable to its 3-Series sedan, the passengers sit more upright and some of that volume occurs between the steering wheel and windshield--unavailable for passengers or cargo. The front seats were specially designed with extremely thin backs, but they're comfortable and well bolstered nonetheless. The seating position is upright and higher than some other small cars, giving the driver a good view ahead at the level of other traffic. The tilting and telescoping steering wheel has an unusual wide range of adjustment, making it possible for almost any size of driver to be comfortable. The rear seats are tight for full-sized adults, and we don't expect the i3 to carry four people very often. They're also awkward to get to; while the rear-hinged "carriage doors" reveal a single opening without a central pillar, they're not full-sized doors and the seat actually sits further back inside than the opening. Also, rear passengers can't get out of the car on their own--the front-seat occupants ahead of them have to open their own doors first. As with most cars that have their batteries in the floorpan, the feet of rear-seat passengers sit higher than they would in the foot well of a conventional gasoline car, so there's a bit of the knees-under-chin feel to sitting in the rear. On the road, there's almost no whine from the motor or electronics inside the cabin, except occasionally at maximum power. That's a testament to BMW's noise insulation team, because you can certainly hear a whine from the outside when an i3 passes by. The European-market cars we drove had no synthetic noise generator to alert pedestrians, and it's unclear if U.S. cars will launch with one before any Federal regulations to require it. We did notice wind noise during our road tests, especially in gusty weather, but it wasn't intrusive. It would likely have been masked by mechanical noise in a conventional car, pointing out the different challenges electric-car designers must contend with. The 2014 BMW i3 hasn't yet been rated for crash safety, but it should rank highly--and it offers many electronic safety systems to boot. The 2014 BMW i3 is said to have a remarkably strong body shell, made out of carbon-fiber reinforced plastic (CFRP) and mounted on an aluminum rolling platform that provides front and rear crash-energy absorption structures and holds the battery, electric motor, and all the car's electronics. Even after a crash at 40 mph, BMW says, the passenger compartment will stay intact, with energy dissipated into the rest of the vehicle. BMW stresses that the battery--built into the floorpan--is positioned and reinforced for maximum crash safety, with three separate systems to shut down all electric components in the event of an accident. Neither the National Highway Traffic Safety Administration (NHTSA) nor the Insurance Institute for Highway Safety (IIHS) has yet tested a BMW i3 for crash safety. But both entities are likely to do so in short order, given the intense interest in the use of strong, lightweight carbon fiber to reduce weight and improve fuel efficiency in vehicles of all types. The i3 has the usual quotient of six airbags, including dash-mounted front bags for the driver and front passenger, bags in the sides of the front seats, and side curtains over the windows for front and rear passengers. BMW notes that the bags built into the front seats are a brand-new design that's small enough to fit into the slim, lightweight seat frames. The electric BMW also has all the mandatory safety systems--including anti-lock brakes, electronic stability and traction control, and tire-pressure monitoring. Optional systems will likely include radar adaptive cruise control, parking proximity sensors, automatic crash-avoidance braking, and other advanced warning and control functions. The frontal vision from inside the i3 is good, except for the large rearview mirror and camera housing in the top center of the windshield. But the right-side and rear three-quarter vision are only adequate. A rearview camera could assist drivers in seeing what's close behind the tail, especially as the rear load floor is quite high because the motor and drivetrain sit below it; whether the i3's camera will be optional or standard has not yet been decided. The 2014 BMW i3 is minimal but packed with technology, and it offers a wide range of electronic features suited for city uses. While early examples of the 2014 BMW i3 reached dealerships during May 2014, they have been limited to a few specific models and trim packages. One omission that provoked much grumbling among eager i3 buyers was the complete omission of a sunroof from any U.S. trim levels, at least for the 2014 model year. A full range of specifications and options packages for the 2014 BMW i3 will become available by the end of the year, but for now BMW is filling initial orders and dealers are unlikely to have more than a few cars on hand--and those in limited numbers--until the backlog is cleared and higher volumes of more varied cars arrive at U.S. ports. The base-model i3 will cost $42,275 (including a mandatory $925 delivery fee). Ordering the car with the optional range-extending two-cylinder engine will add an additional $3,850 to that price, bringing it to $46,125. One feature likely to become standard--next year, if not this year--is a rearview camera, which is Europe is offered as part of a Safety Package that also included systems like automatic braking for crash avoidance and adaptable cruise control. The 2014 BMW i3 can run entirely on grid electricity or partly with a range-extending engine, but it uses electricity very efficiently. Running on grid power, as it will almost surely do for far more than half its miles, the 2014 BMW i3 is a remarkably efficient electric car. While its EPA range rating is average--at 81 miles--it is the most efficient car sold in the U.S. this year, rated at 124 MPGe. (The unit measures the distance a car can cover using the same amount of energy from its battery as is contained in 1 gallon of gasoline.) The i3's light weight, purpose-built construction, and dedicated drivetrain have all been optimized around the goal of extracting maximum distance from every stored electron. And it works. 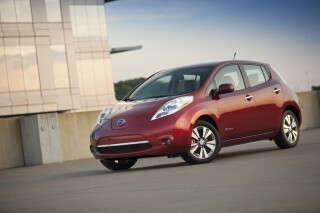 Because electric cars are still a novelty in the U.S., we rate every battery-electric vehicle at 10 on our Green scale. Relative efficiency differences among electric cars are less important than the fact that they run on grid power--which automatically makes them some of the greenest cars you can buy. And even if a BMW i3 is recharged from the oldest, dirtiest coal power plants in the nation, it remains cleaner--comparing "wells-to-wheels" carbon emitted through the process of creating the fuel as well as powering the car--than any gasoline car sold today that isn't a hybrid. In California, which will see more plug-in sales than the next five states combined, the grid is relatively clean, so parity with any gasoline car soars toward unattainable numbers like 80 or 90 mpg. The BMW i3 is far from the lowest-priced electric car on the market, but like all plug-ins, its running cost per mile will be very low against gasoline or diesel cars. At average U.S. electricity prices, it's likely to cost about one-quarter as much to run 100 miles as a 25-mpg gasoline car. But that difference varies quite a lot, because electricity prices per kilowatt-hour cover a much wider range than gasoline or diesel fuel costs--so your cost efficiency may vary. With a built-in charger capable of up to 7.4 kilowatts (higher even than the 6.6-kW units found in the Nissan Leaf and other cars), the BMW i3 can recharge its battery pack to 80 percent of capacity or more in under 4 hours using BMW's 240-volt Level 2 charging station--and about 20 percent longer using Level 2 stations from other makers. Those stations may require some home electrical work, but no more than what's needed to install an electric stove or clothes drier. On standard 110-volt household current, a full recharge will take four times or more that long. 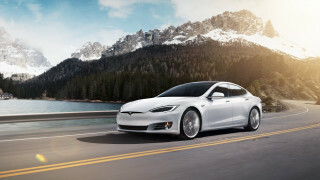 BMW does not offer an option to charge only to 80 percent of capacity, however, as Tesla and Nissan do; the company said it wanted to reduce complexity for its customers. The i3 will also offer a DC quick-charging port compatible with the new Combined Charging Standard (CCS) protocol--although today there are very few stations using that standard. Have had the i3 REX for 1 year now. 12,000 miles problem free. 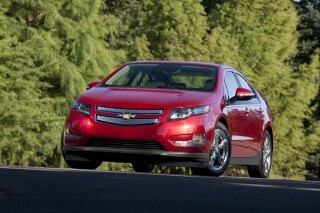 We are hooked on EVs now. No more ICE cars. If it wasn't for the stupid back doors, which are really annoying, I have only superlatives to come up with (well, I miss a cd-slot as well - guess that makes me old fashioned). I have never before thought of... If it wasn't for the stupid back doors, which are really annoying, I have only superlatives to come up with (well, I miss a cd-slot as well - guess that makes me old fashioned). I have never before thought of driving a car as having fun. Now I do. And still do after 12.000 km of driving. 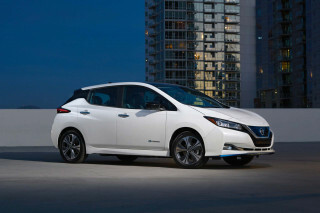 Yes, the range could be better but the i3 actually runs longer that predicted by the GOM. How many other EVs do that? I drive 100 km every day and I was worried that it might be a (range) problem here in cold Norway. No way: in minus 10 degrees C it is no problem to overcome 120 km - with AC and 22 degrees in the cabin - and the DAB radio set on jazz! Looking forward to the next generation of i3 with longer range - but please don't change the style radically when you fix the back door problem. Super FUN car to drive!!! Love the technology, spirited acceleration and handling. A little more range would be nice, but current range works for urban / suburban driving. Great car but needs more range. Great second car but with only 60 miles of reliable real range, it is nothing more than a fun around town car. The Future is there. Great car with great developments. 27000 km and still Freude am Fahren! And all without any drops of gasoline. Amaising exceleration. Range limitation on highways due to higher energy consumtion. Overnight or work place charging recommended. The car is a well thought out design that seeks to meet everyday driving requirements for flexible capacity, speed and pure fun to drive.